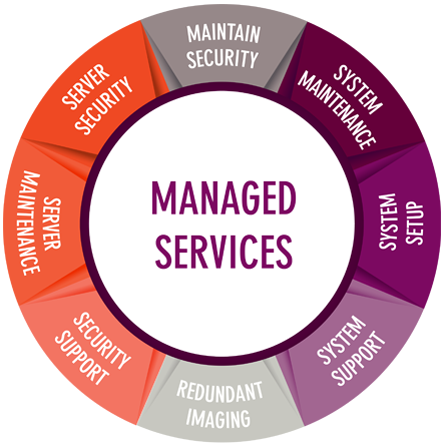 Managed services are the services that are managed by a vendor for a customer based on the agreed terms of how outcomes would be measured also known as Service Level Agreement (SLA) and Key Performance Index (KPI) for a priced fixed by the parties. Even though the price of most services is decided, certain services that are variable in nature can only be charged on an hourly basis. The service provider then assumes responsibility to manage, maintain, and provide solutions to problems 24 hours a day or based on their terms in Service Level Agreement (SLA). 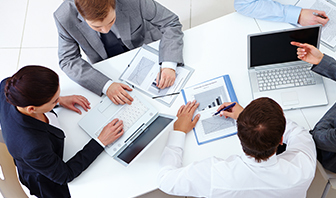 Managed Services requirements are unique to every business and all our solutions are customized to your specific needs while keeping in mind the mission and vision of your business. This is why we dedicate an Account Manager appointed exclusively to you to understand the latent needs of your business and suggest the best measures to take care of all your business needs.